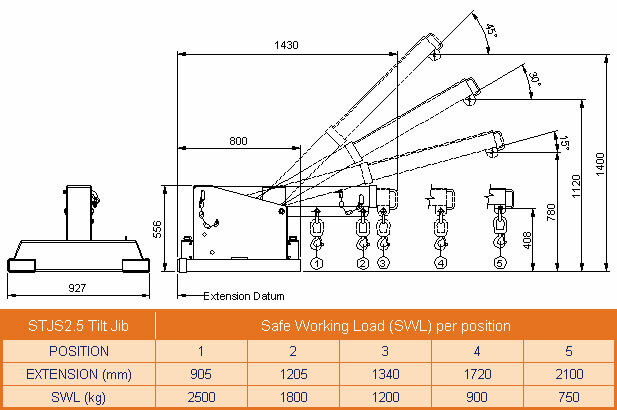 The type STJS2.5 Tilt Jib (Short) is designed with a tilt facility allowing extra height to compensate for the hook and sling length lost when lifting with jib attachments. A maximum of 1.4 metres can be gained while the Jib can be fully extended to 2.1 metres. 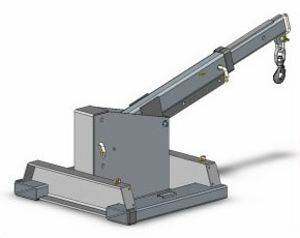 This Jib has been fitted with wide pockets suitable for Forklifts with special hydraulic Tine positioners. Simply slide onto the Fork Tines and secure with safety chain.